Obituary for Brenda A. (Stoudt) Wentzel | Milkins Giles Funeral Home Inc.
Brenda A. Wentzel, 73, of Bern Twp., passed away suddenly on Sunday, March 31st in Tower Health, Reading Hospital. Brenda was married to P. Douglas Wentzel. Brenda and Douglas would have celebrated fifty three loving years of marriage on April 16th. Born in West Reading, she was the daughter of the late Warren H. Stoudt and Grace E. (Wanner) Stoudt. 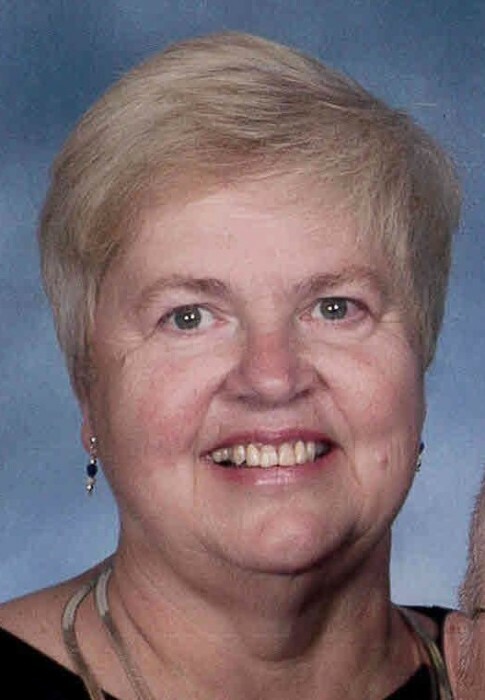 She was member of Bern Reformed United Church of Christ. She graduated from Schuylkill Valley High School, class of 1965. She was employed for many years for Western Electric-Agere, retiring in 2001 as a lab technician. She was a member of the Telephone Pioneers of America. She enjoyed cooking, baking, and making ceramics. Brenda and Doug enjoyed traveling. They especially enjoyed traveling to Alaska, Walt Disney World, and California. Additional survivors include two children, Eric R. Schaeffer and wife Hillary Arndt of Bern Twp., and Dr. Amy J. Alivernini and husband John Alivernini of Collegeville. Brenda adored and loved to spend time with her grandchildren, Hannalise G. and Juliana M. Schaeffer and Abigail G. and Olivia B. Alivernini. She was predeceased by a sister, Linda Gertrude Schaeffer and a brother. Brenda loved her two dogs, Buddy and Dyna. A funeral service will be held on Saturday, April 6th at 10:30 am in Bern Reformed United Church of Christ, 3196 Bernville Rd., (Rt. 183) Leesport, PA , 19533 with Reverend James Roth officiating. A viewing will be held on Saturday from 9:30 am until 10:30 am in the church. In lieu of flowers, memorial contributions may be made to Bern Reformed UCC at the above address and the Animal Rescue League, 58 Kennel Rd., Birdsboro, PA 19508.